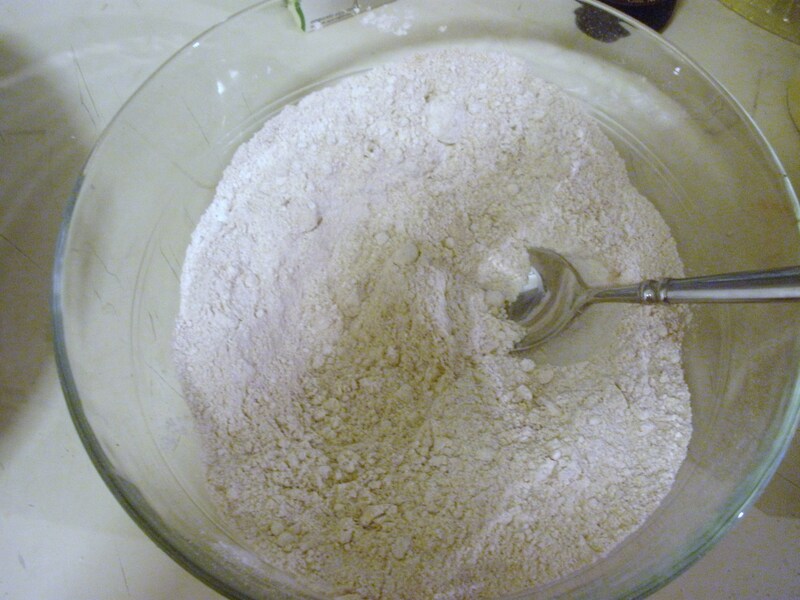 Next, mix the dry ingredients. Set aside. 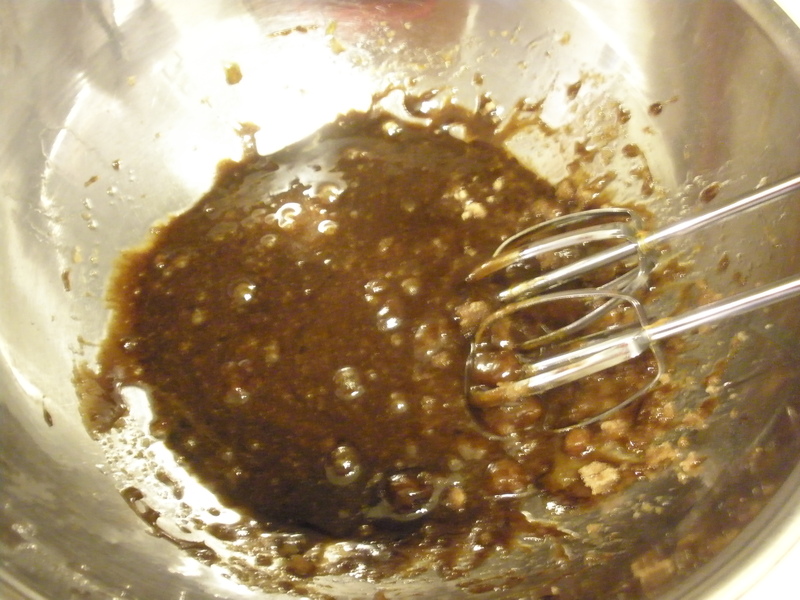 Next, in a large mixing bowl, mix together the brown sugar, molasses, canola oil, and the eggs. 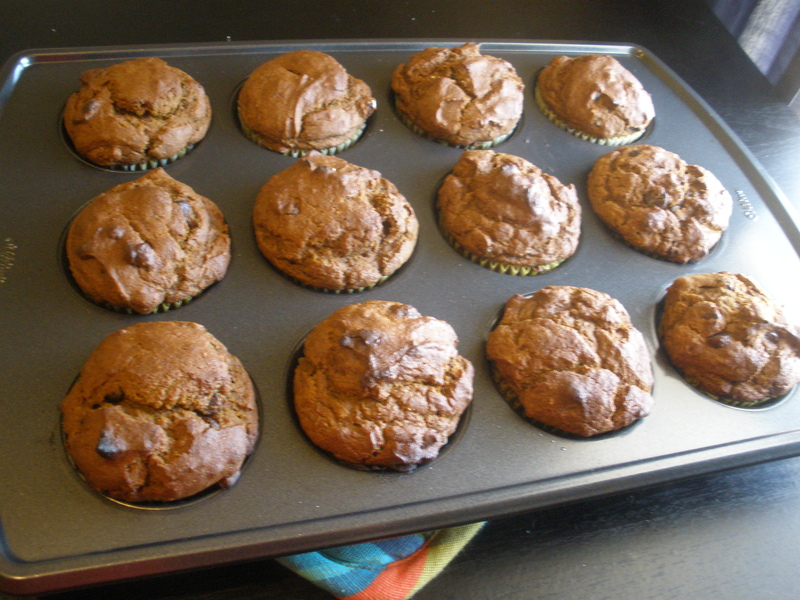 You can use a wire whisk or an electric mixer, which is what I did. 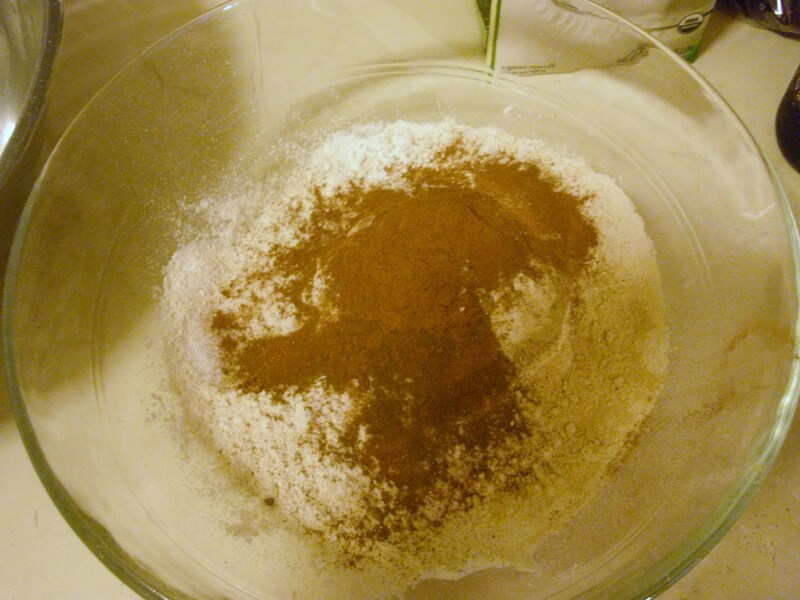 Once these ingredients are mixed, add the pumpkin and the milk. 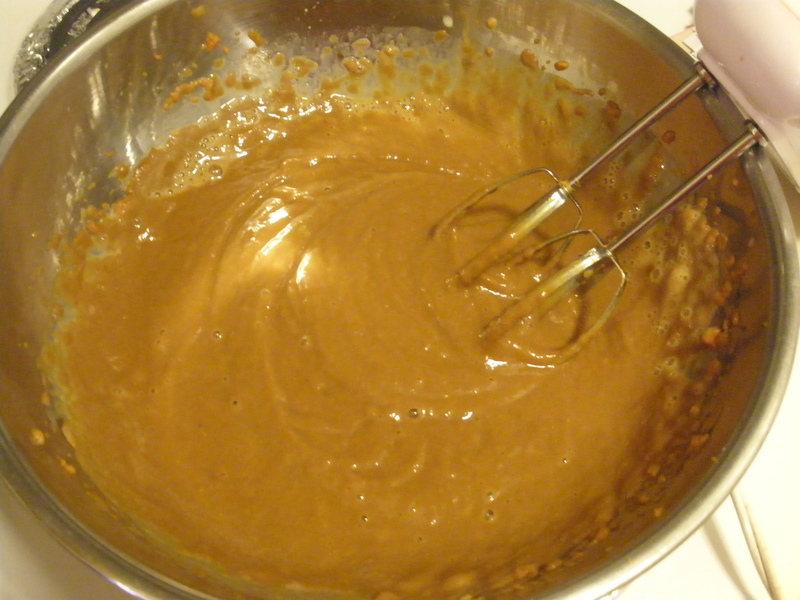 Whisk or mix using the mixer. 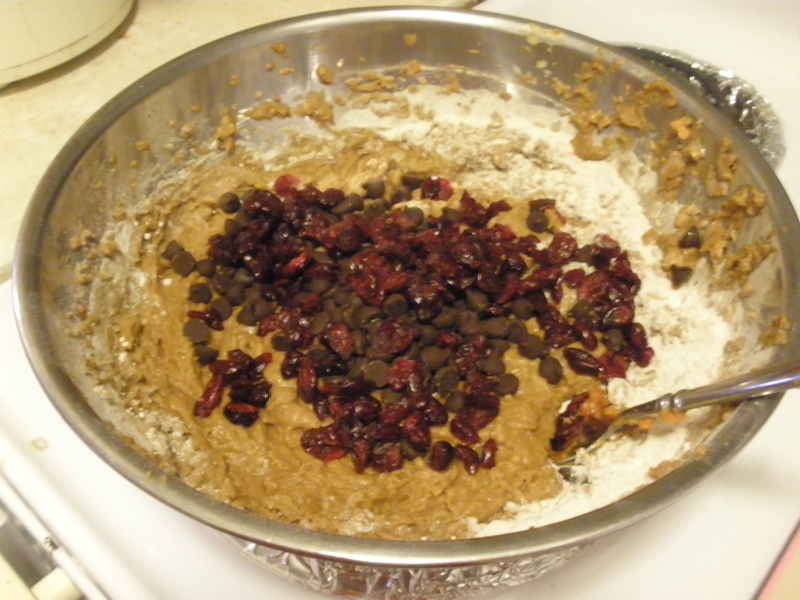 Add the dry ingredients to the pumpkin mixture along with the cranberries and chocolate chips. 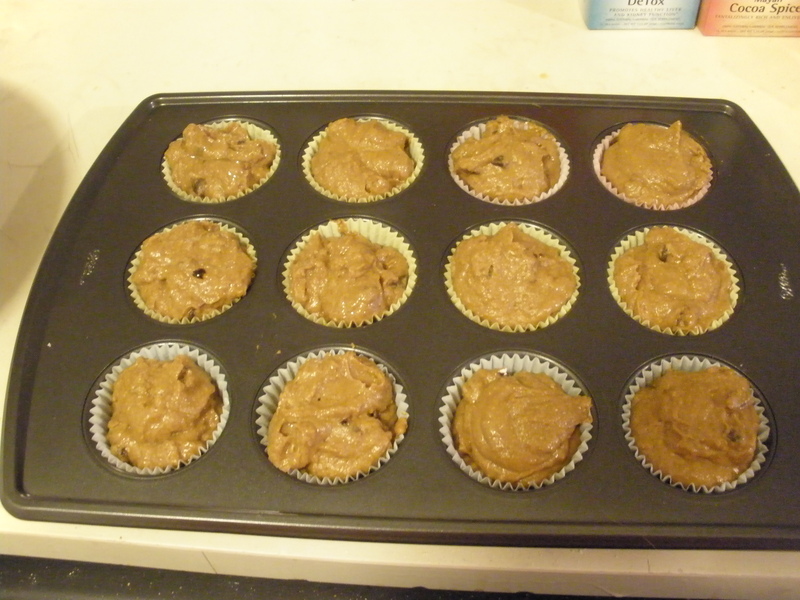 Stir just until mixed–too much stirring and you end up with tough muffins. 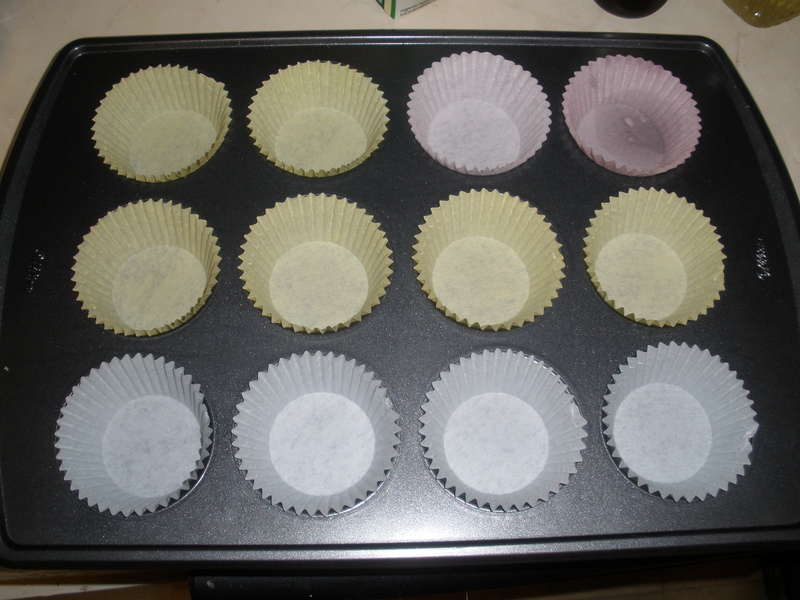 Next, fill the muffin papers. 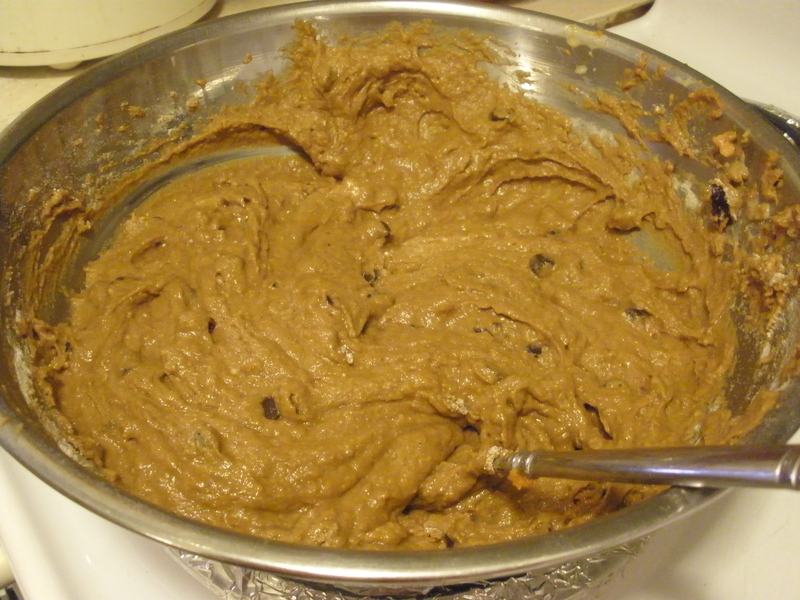 Bake for about 20 minutes. 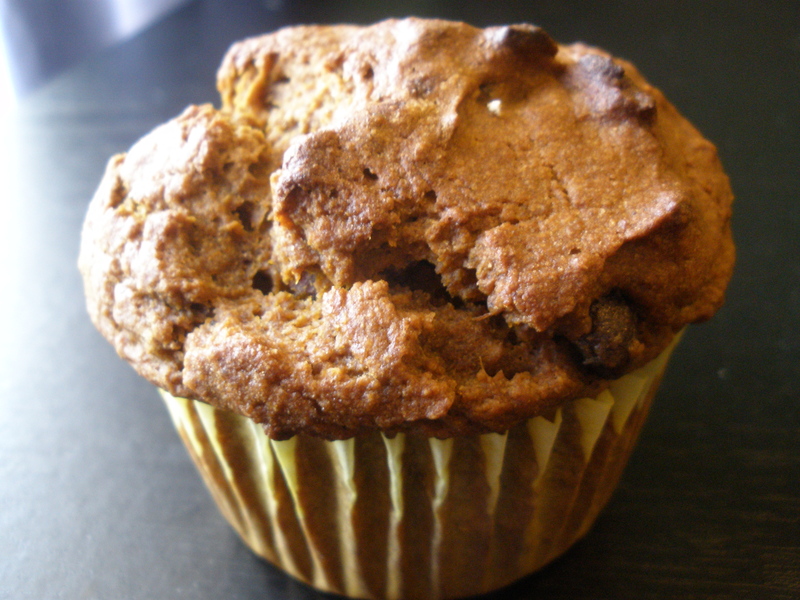 Check the muffins by poking one with a knife or fork–if it comes out clean, the muffins are done.